feebas- milotic. 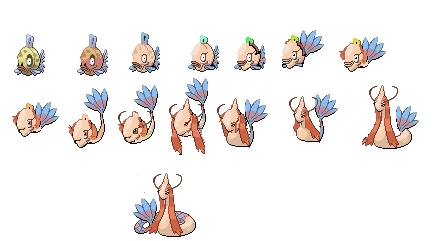 i got bourd so i thot that evry body is like supirsed that that ugly feebas terns into a pretty milotick so i did a slow evolution. Wallpaper and background images in the pokemon club tagged: pokémon pokemon artwork feebas milotick evolution slow water sea.